Pour the lentils into a fine strainer and rinse, making sure no pebbles have slipped through. Fill a medium saucepan with water 1 inch from the top. Place over medium-high heat and let come to a boil. Add the lentils and cook until tender, 20 to 25 minutes. Drain back into the strainer and shake out the water. 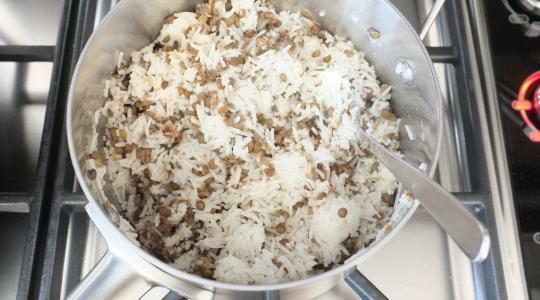 Pour the rice into a large bowl and fill with cold water to rinse. Drain into a fine meshed strainer. Repeat twice more. Pour 1½ cups water into a small saucepan over medium-high heat and let come to a boil. Add ¼ teaspoon of the salt. Add the rice, stir once, cover tightly, reduce the heat to low, and simmer for 15 minutes, or until the rice is tender and the water is absorbed. Remove from the heat, fluff with a fork, and let stand, covered, for 5 minutes more. Stir in the lentils and ¼ teaspoon of the salt. In a medium skillet, heat the oil over medium heat. Add the onions and ¼ teaspoon of the salt and stir to coat. 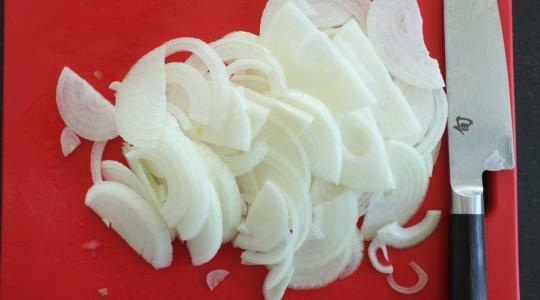 Cover tightly and let cook, stirring occasionally, for 5 minutes, or until the onions have softened. 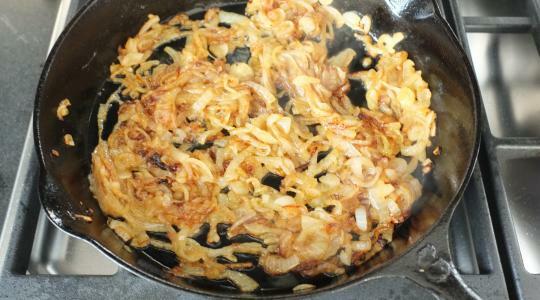 Remove the lid and continue to cook, stirring often, until the onions are dark golden brown, about 10 minutes more. 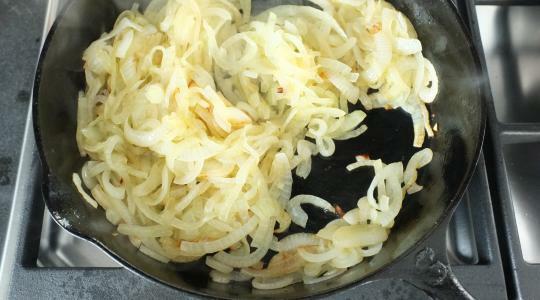 In a small bowl, whisk together the lemon juice, oil, ⅛ teaspoon freshly ground black pepper, and the remaining ¼ teaspoon salt. 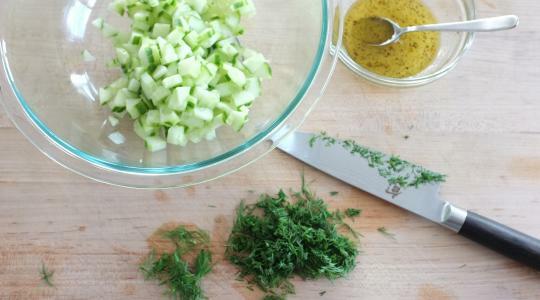 Cut the cucumber into ½-inch pieces and chop the dill. Stir into the vinaigrette. Pour the lentil mixture over the onions and spread into an even layer. 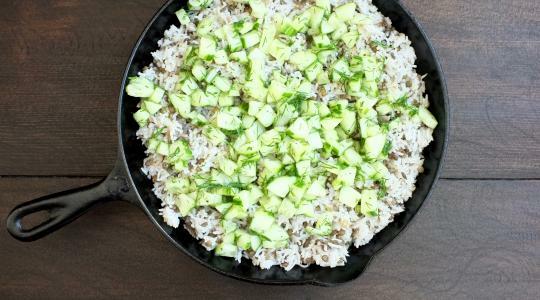 Spoon the cucumber vinaigrette over the top. Serve hot or at room temperature.